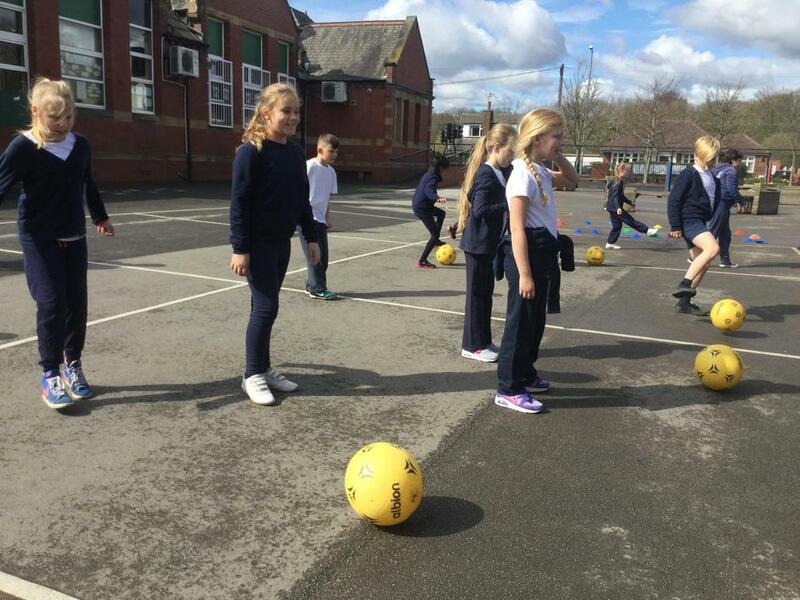 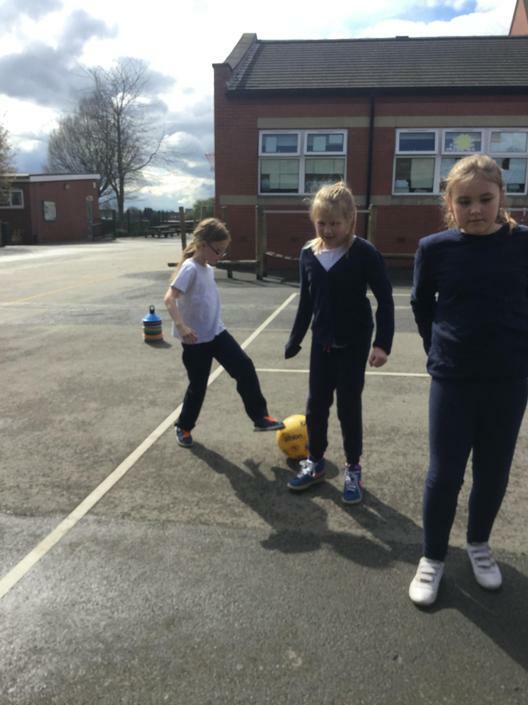 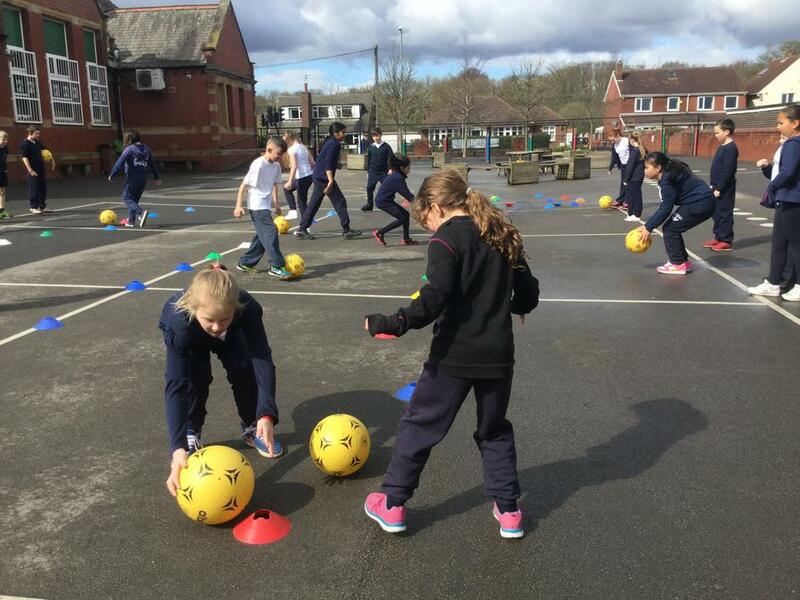 Last half term we started to work on basic dribbling and passing skills. 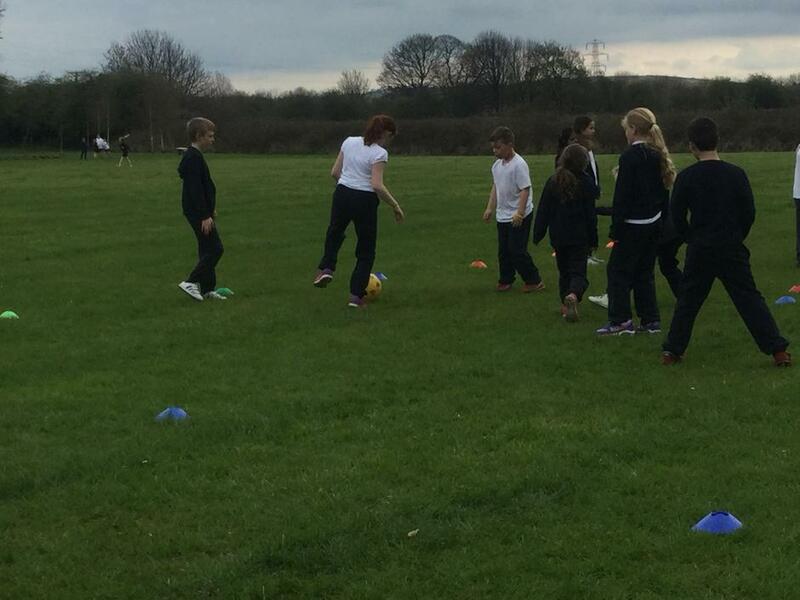 This half term we are moving towards more invasion tactics and, hopefully, playing a game! 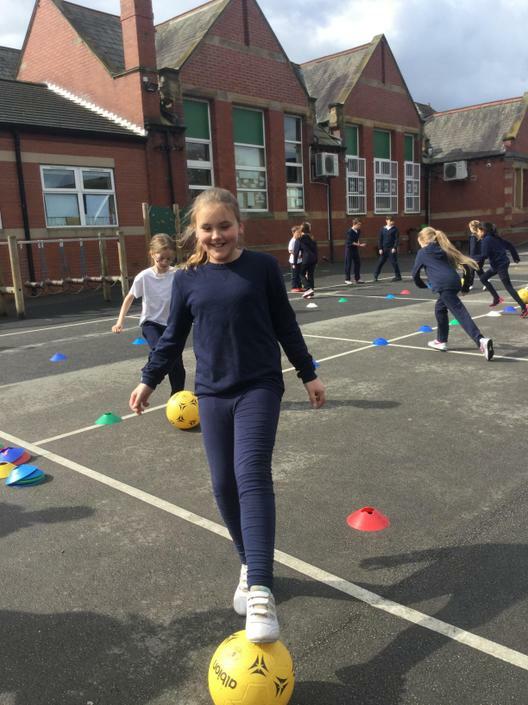 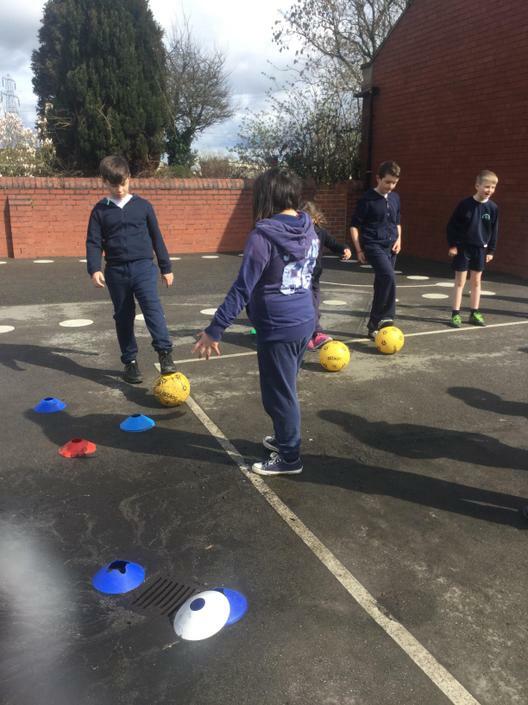 We began with several warm up activities designed to improve our footwork, dribbling and passing skills, field awareness and general ball control. 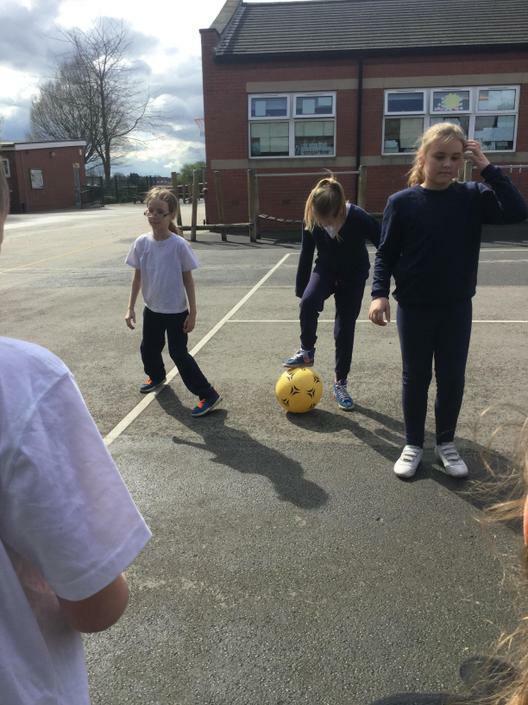 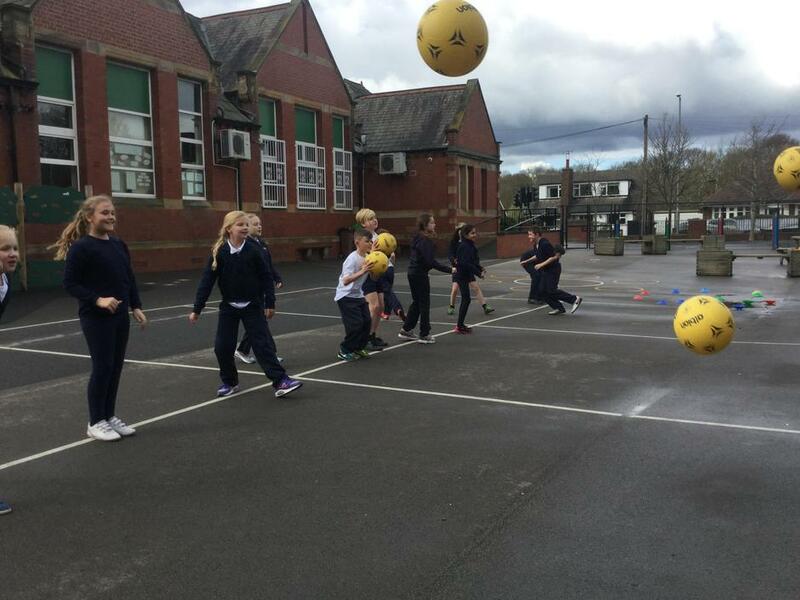 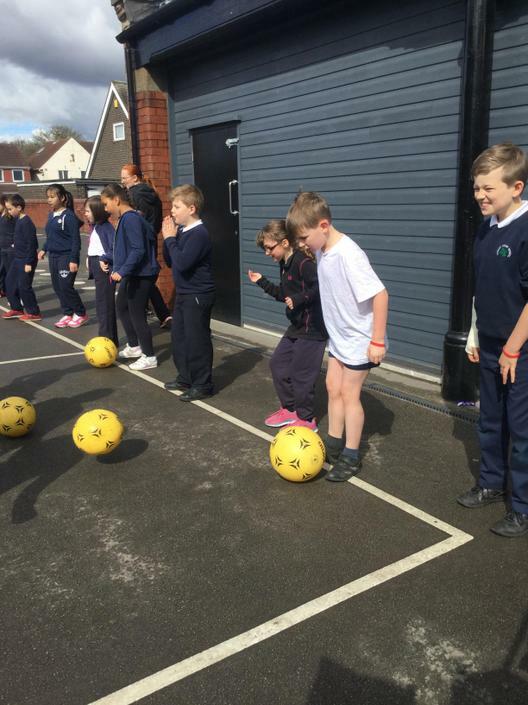 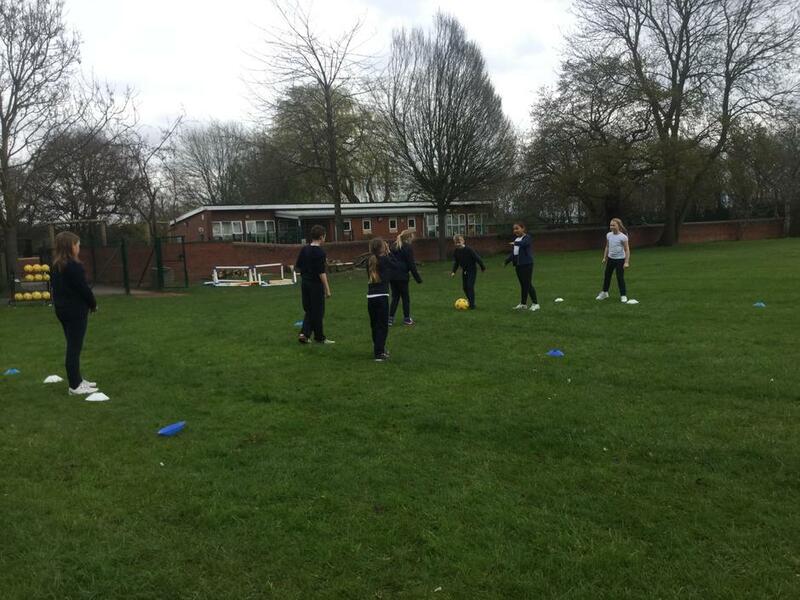 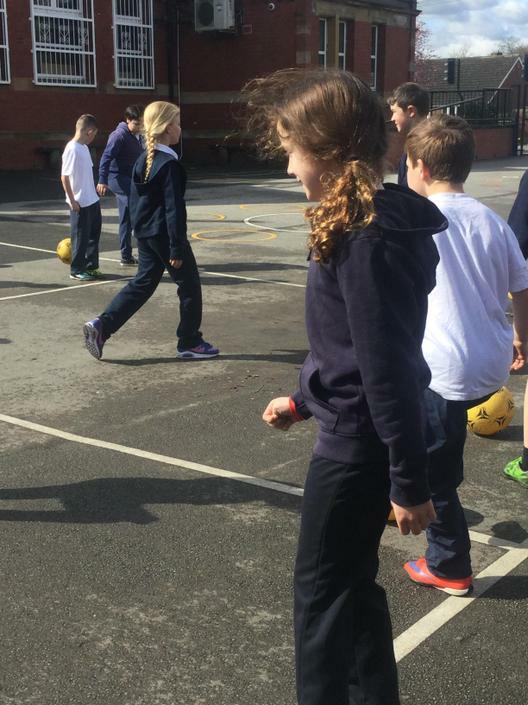 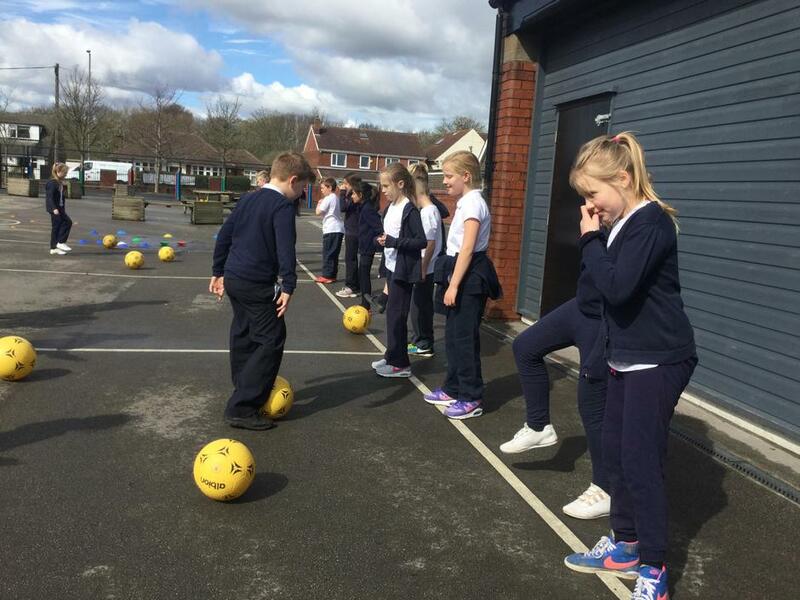 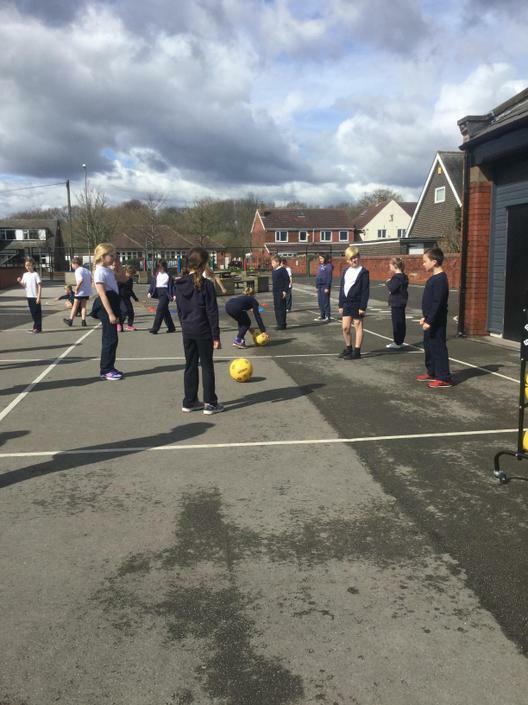 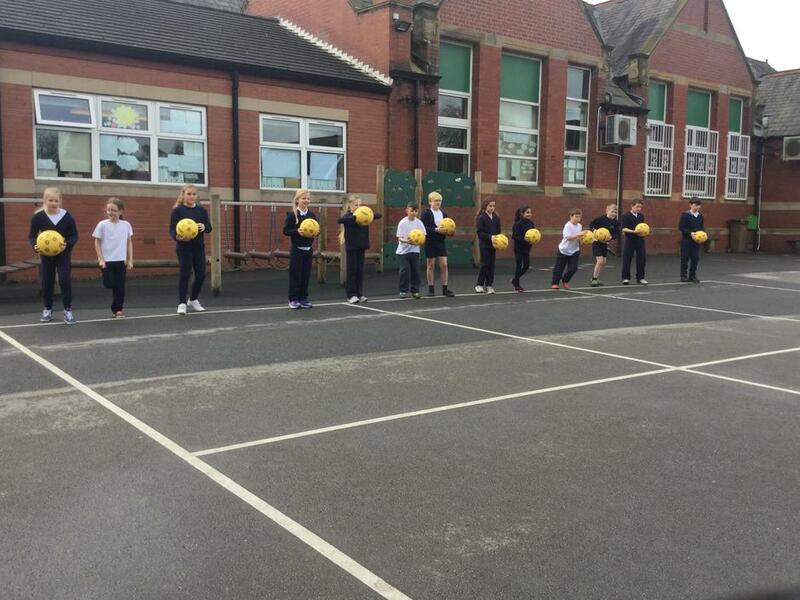 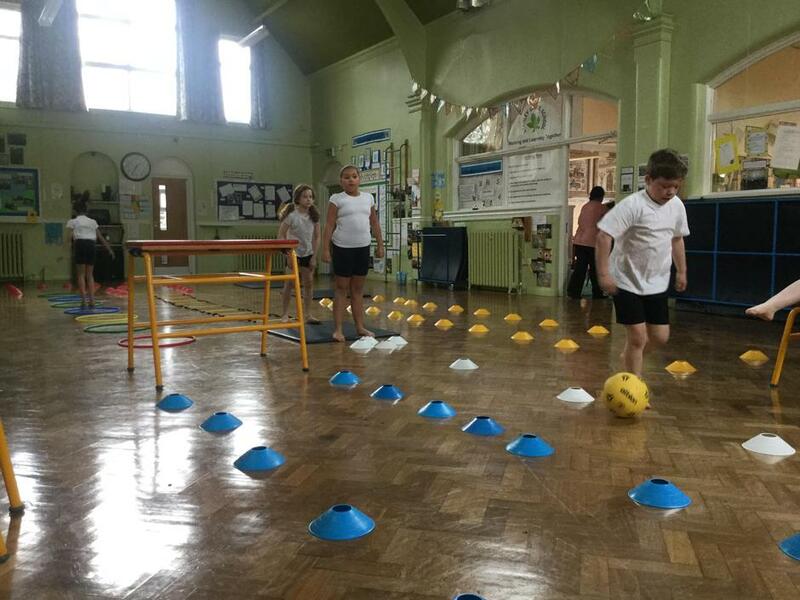 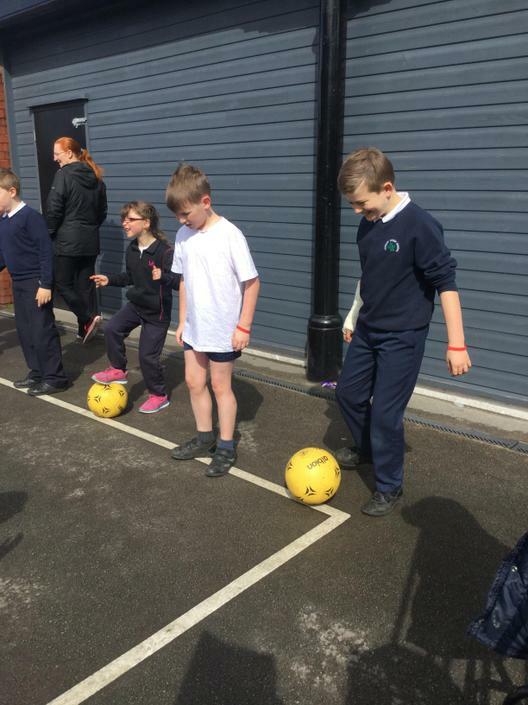 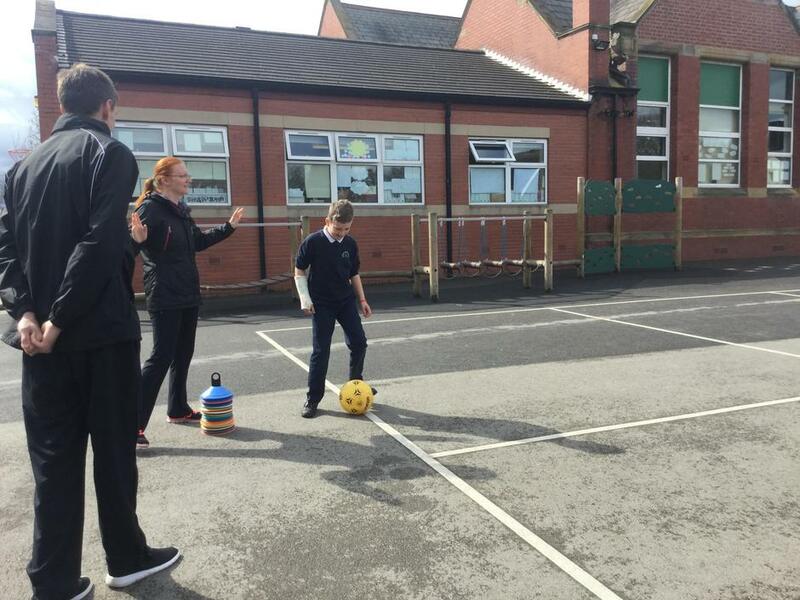 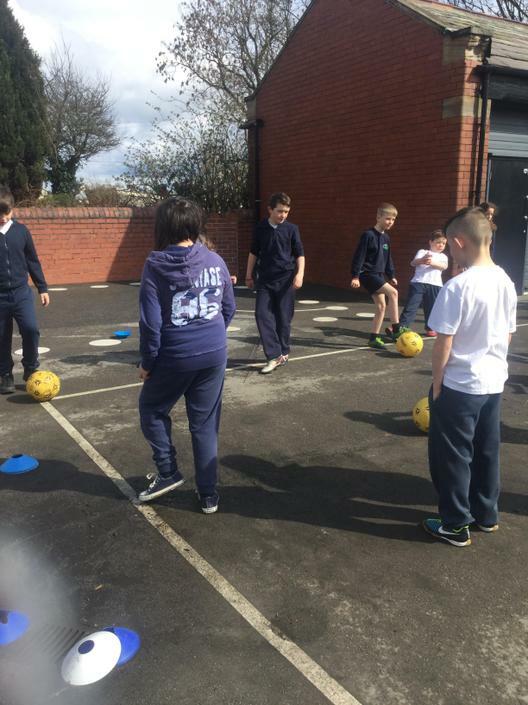 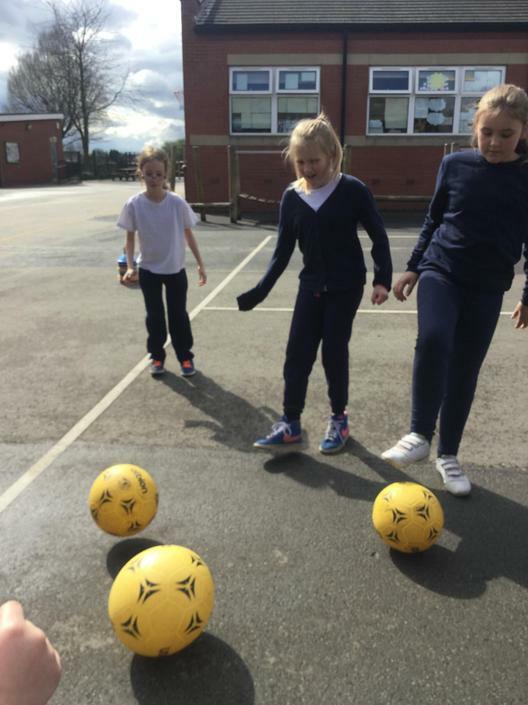 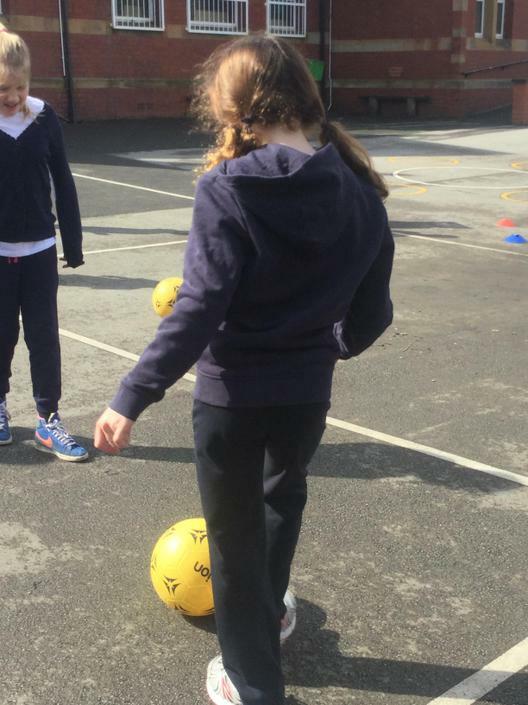 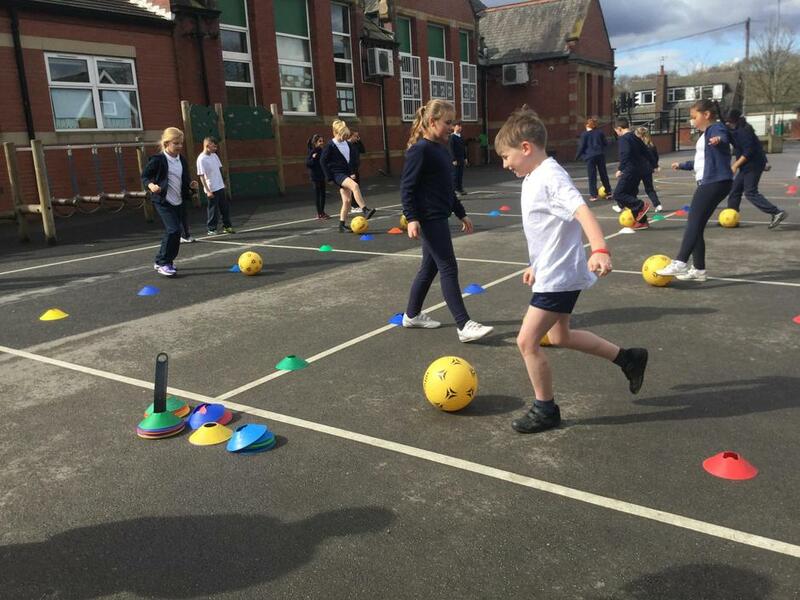 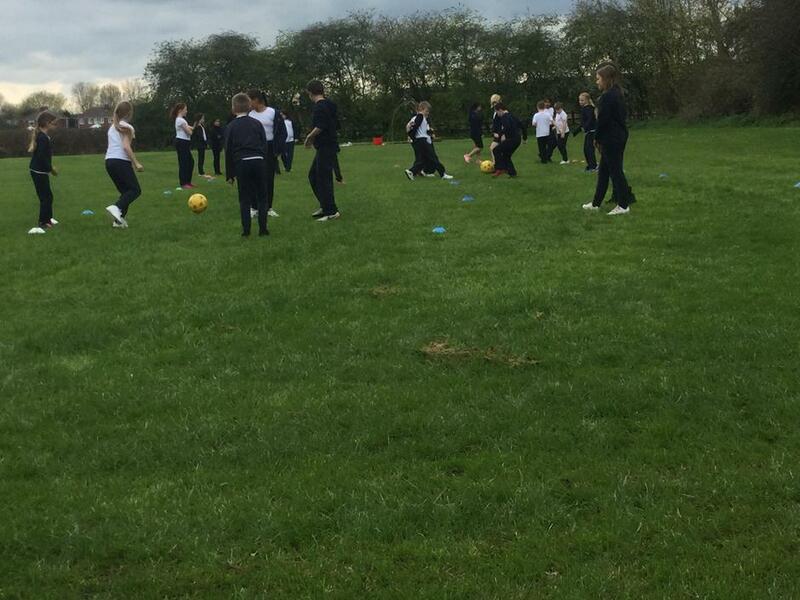 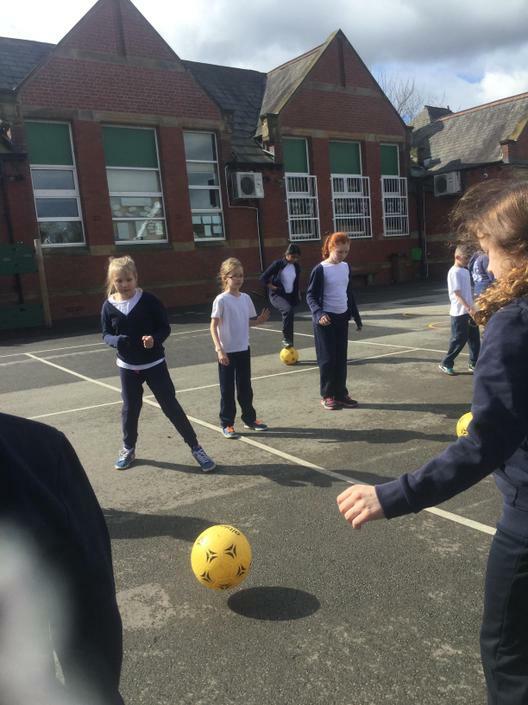 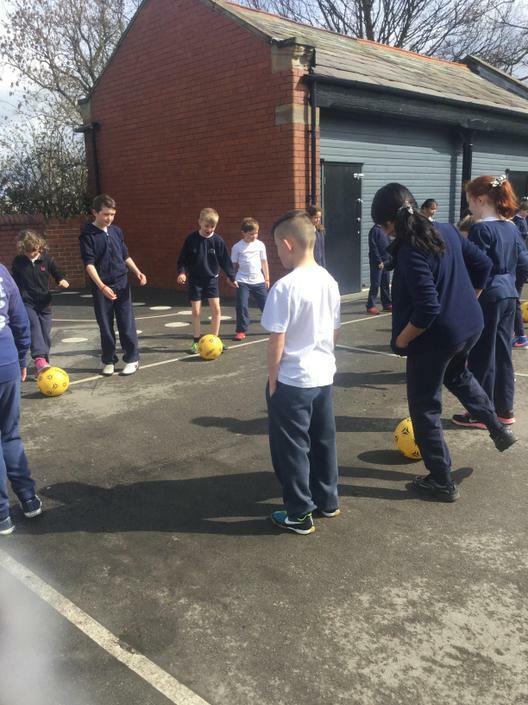 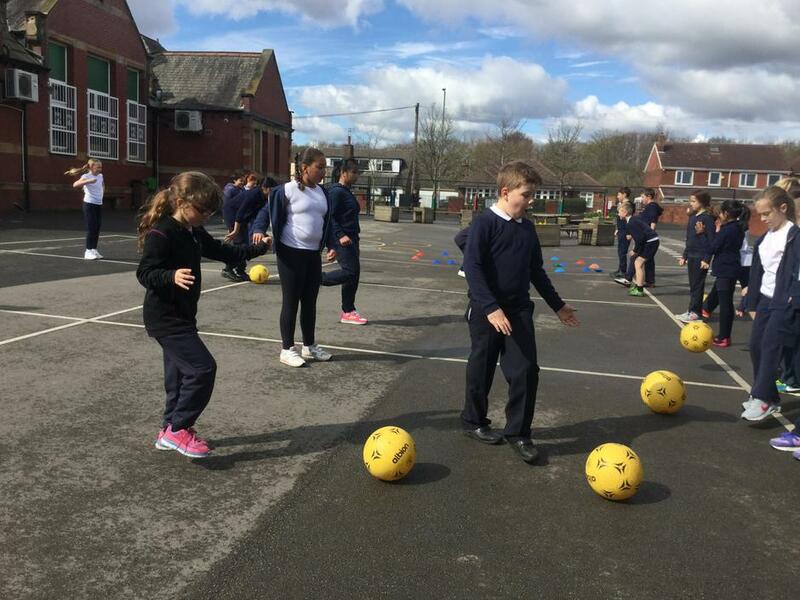 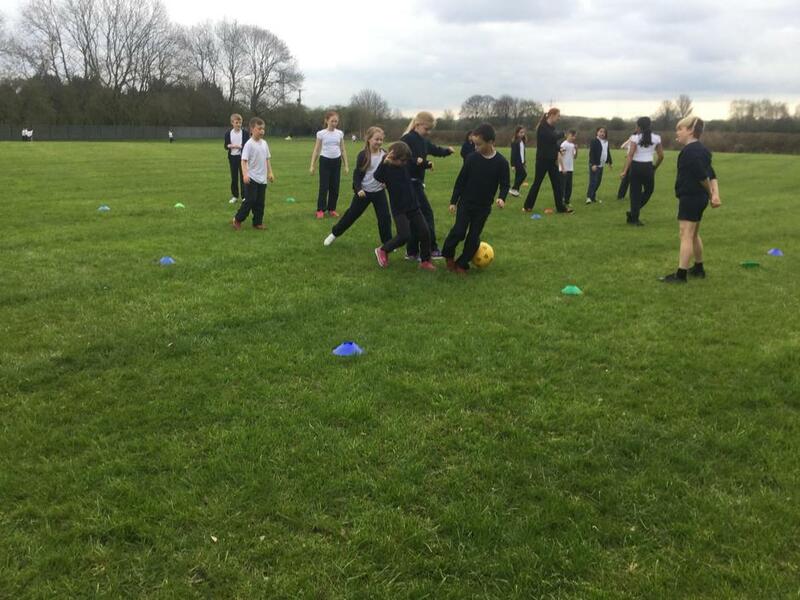 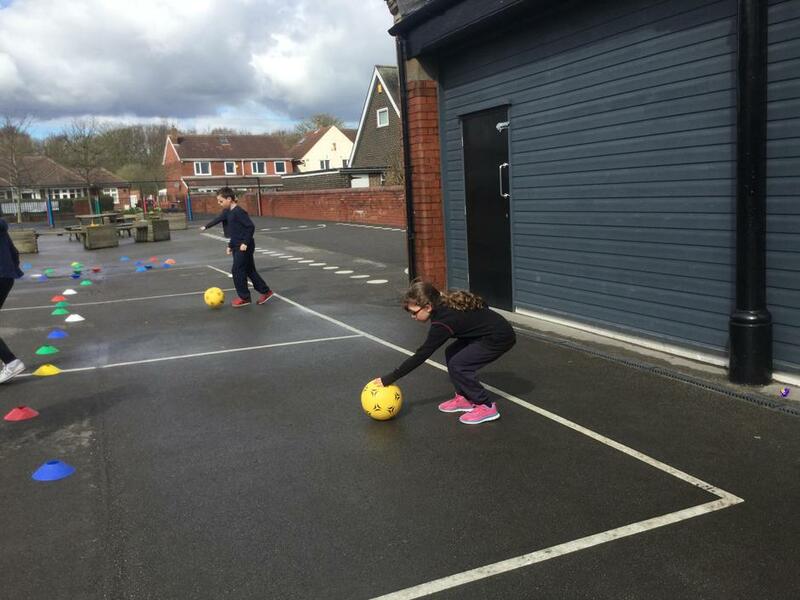 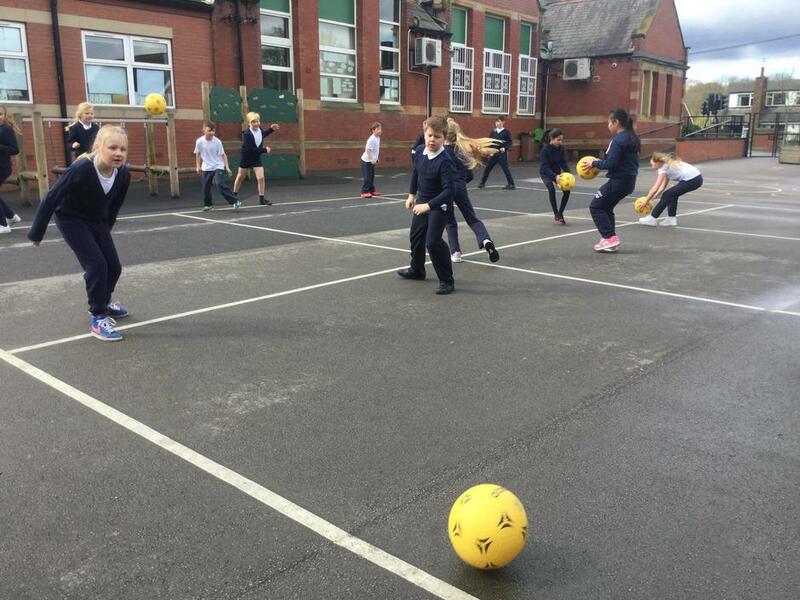 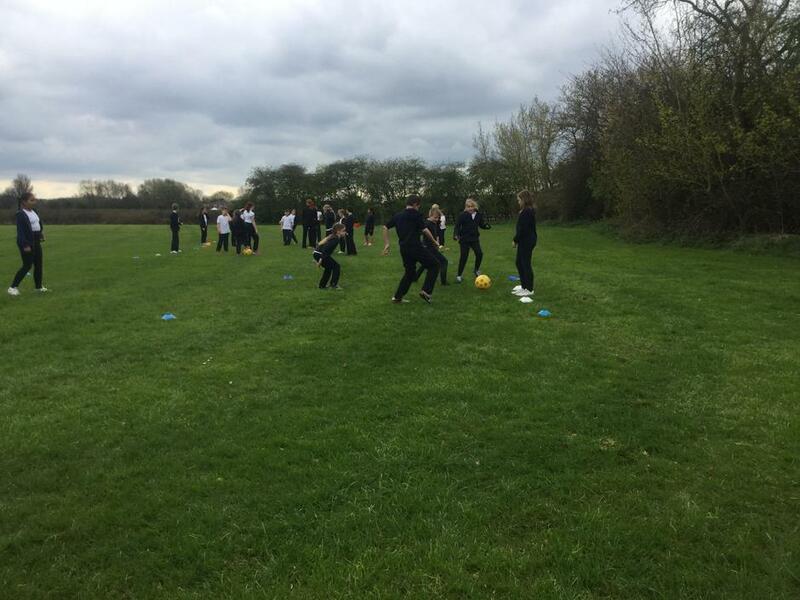 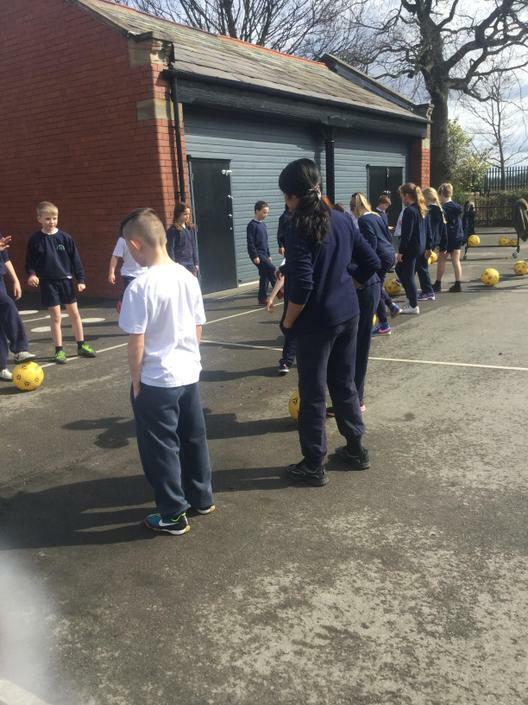 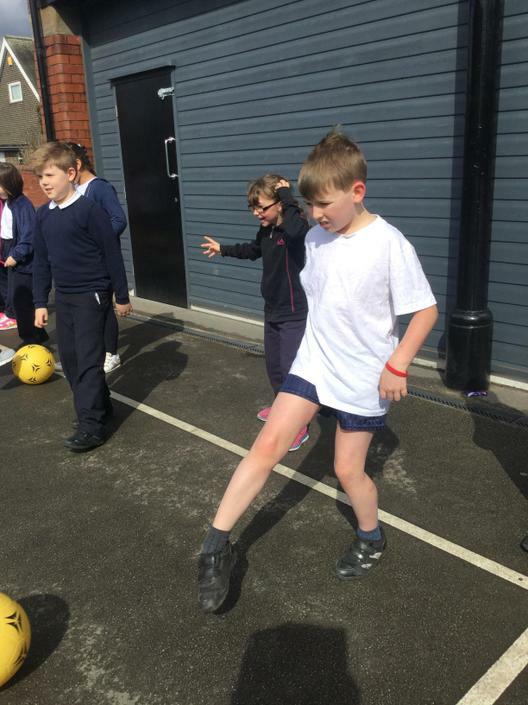 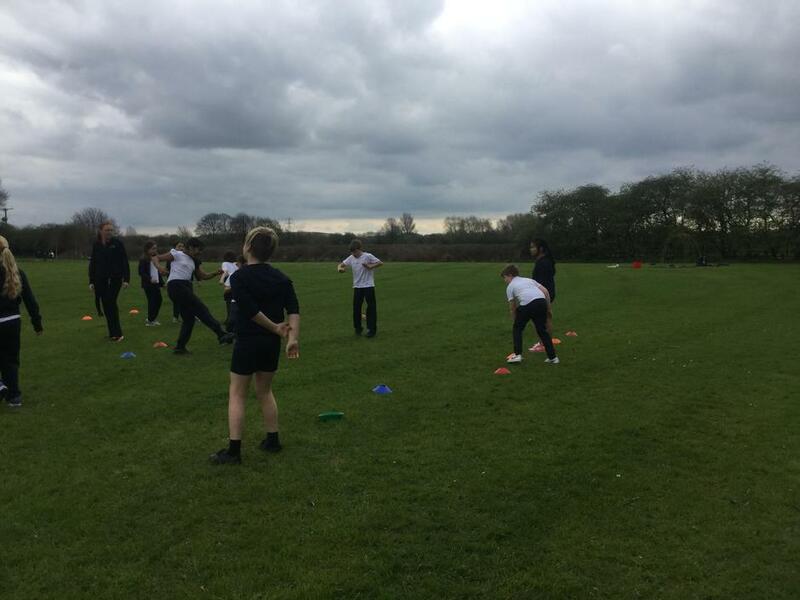 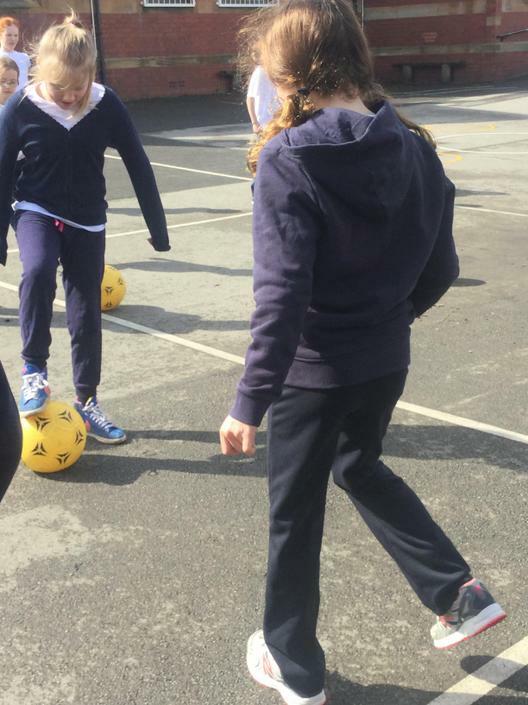 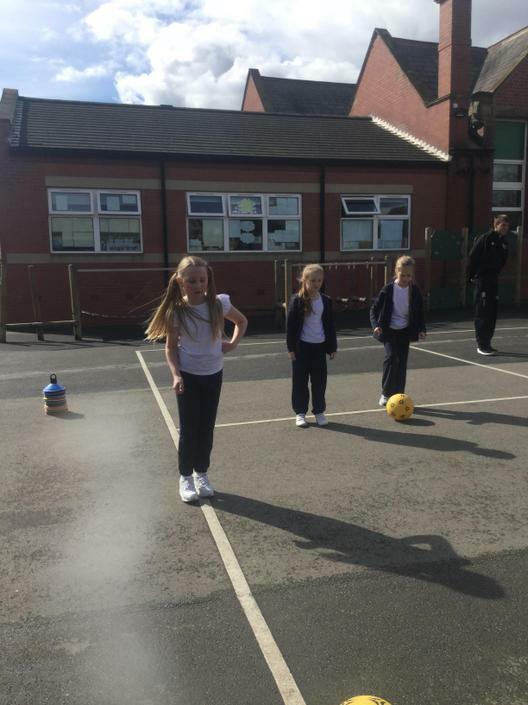 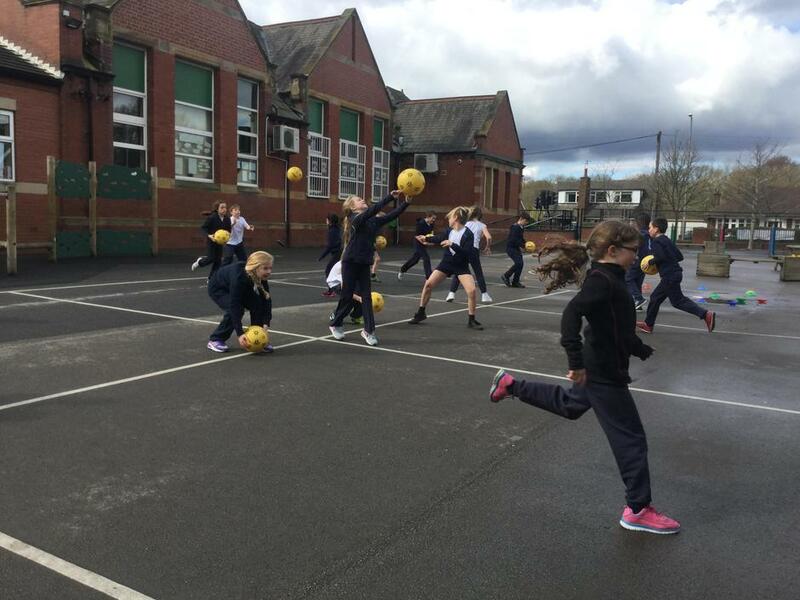 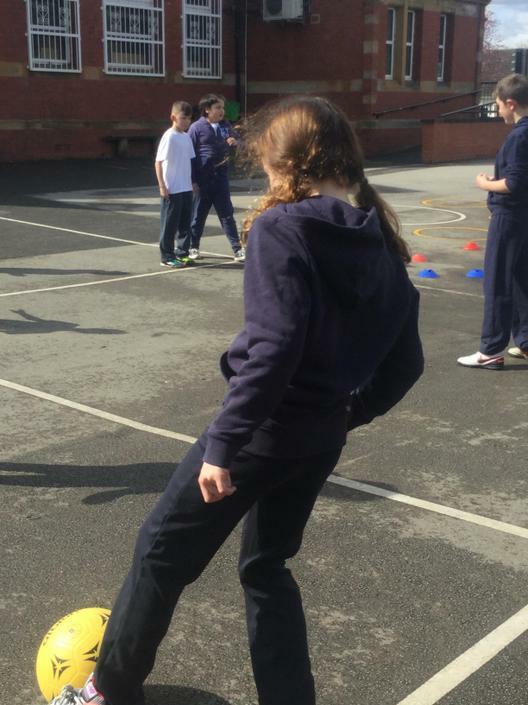 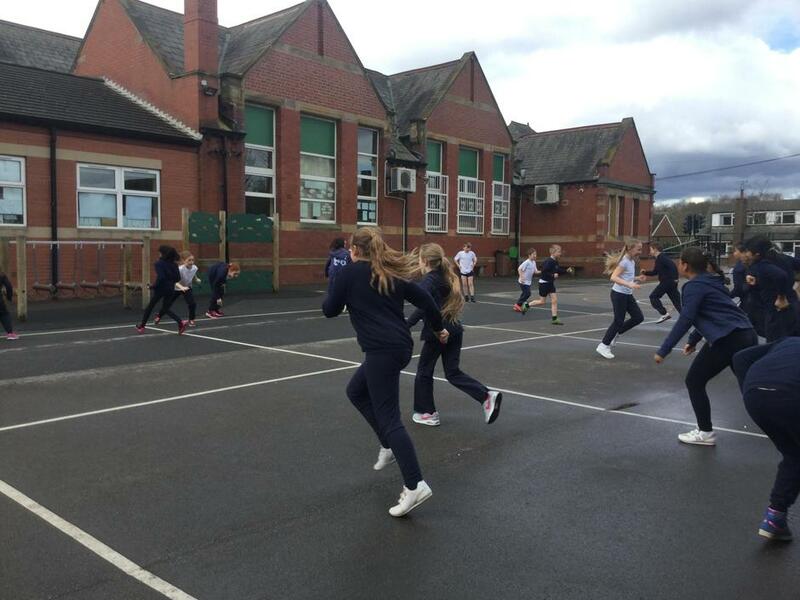 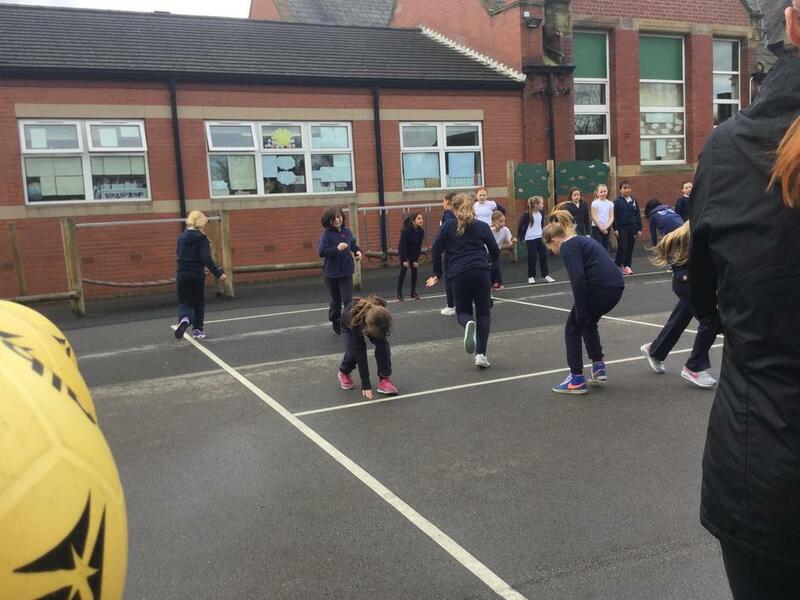 We then began to develop team work skills, including passing and returning the ball from short and longer distances. 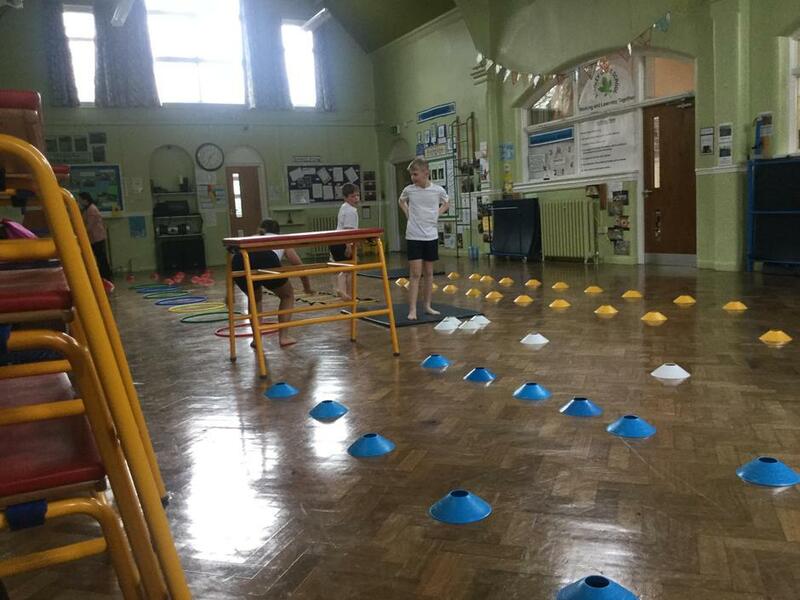 The focus was predominantly on paired work. 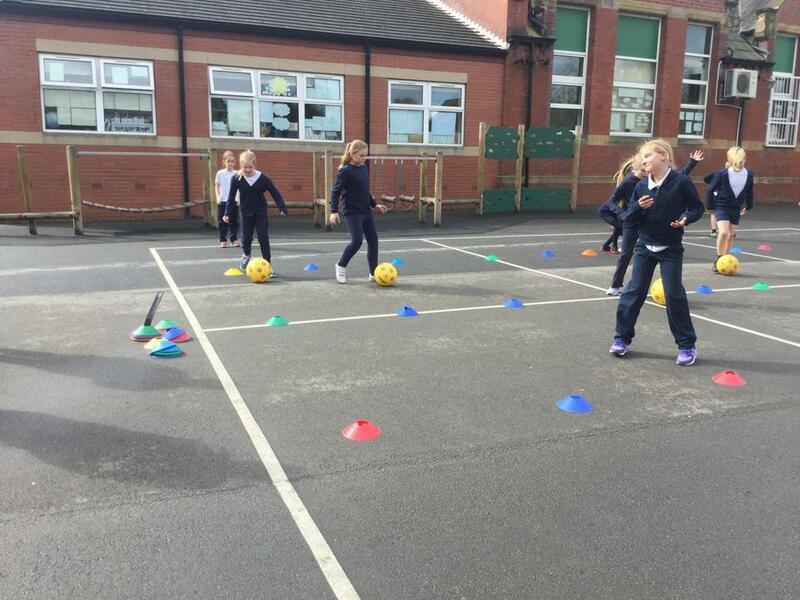 This lesson expanded our warm ups to include greater field awareness and more concentration the ball. 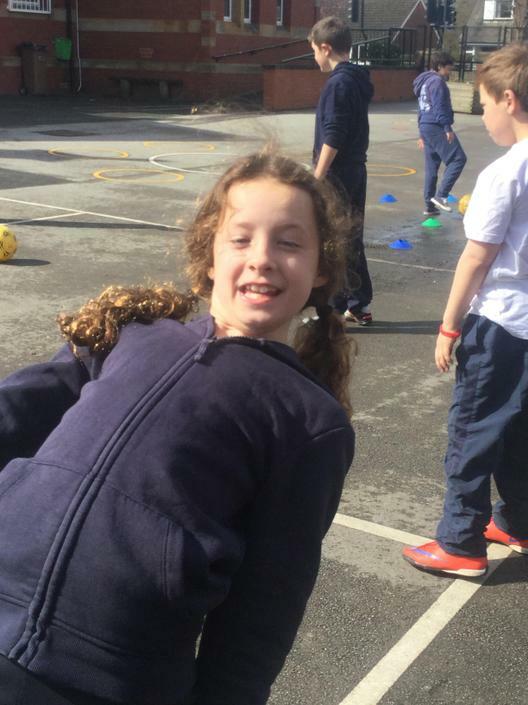 We are really trying to increase our awareness of where we and others are. 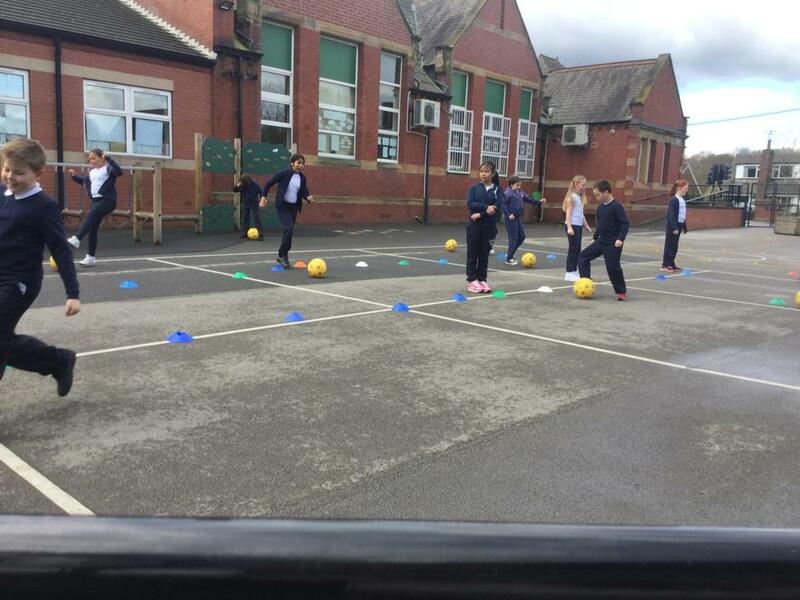 The main session focused on passing skills between a small team, trying to move across a small pitch and aim between two cones. 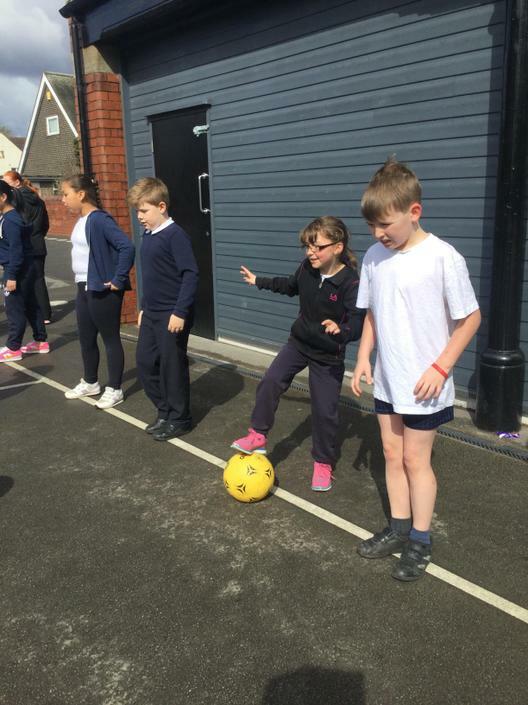 The emphasis was on team work, including everyone and good communication. 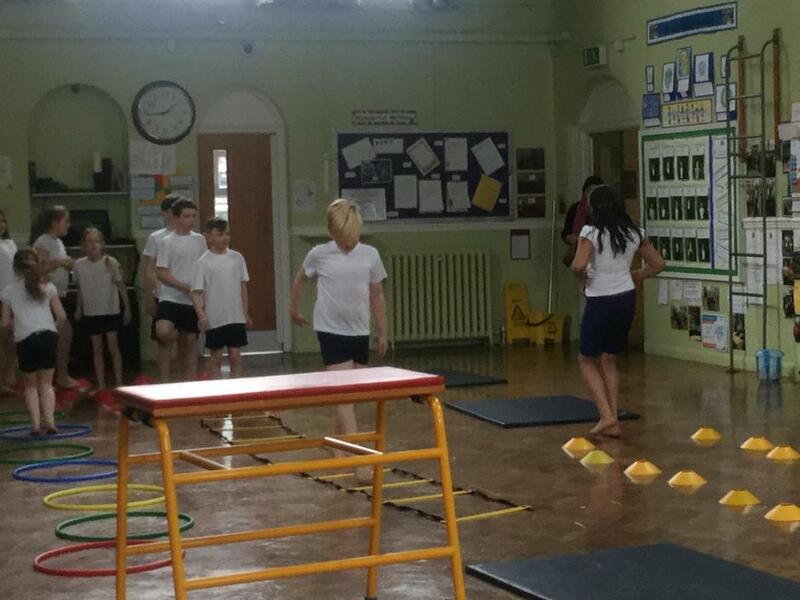 There will be time for competition later! 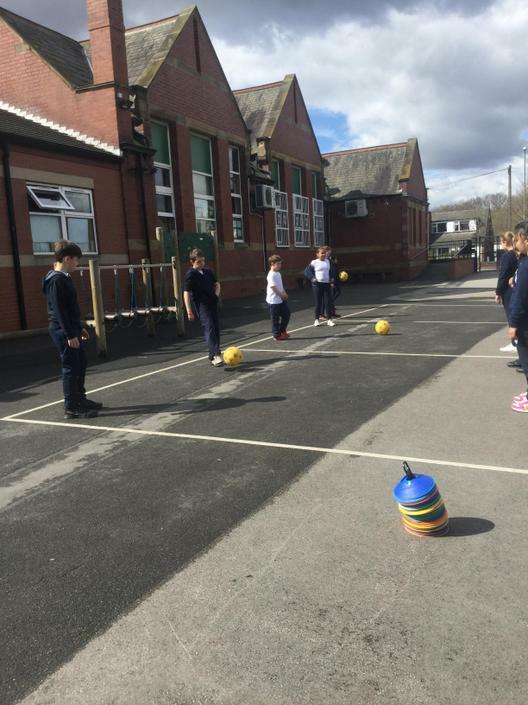 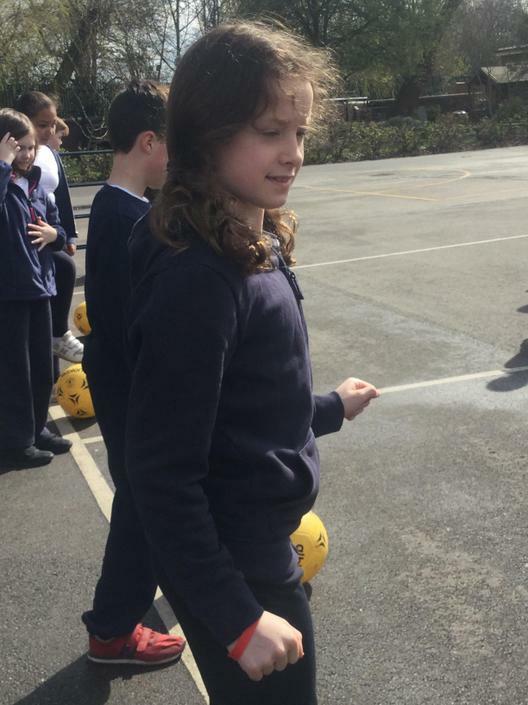 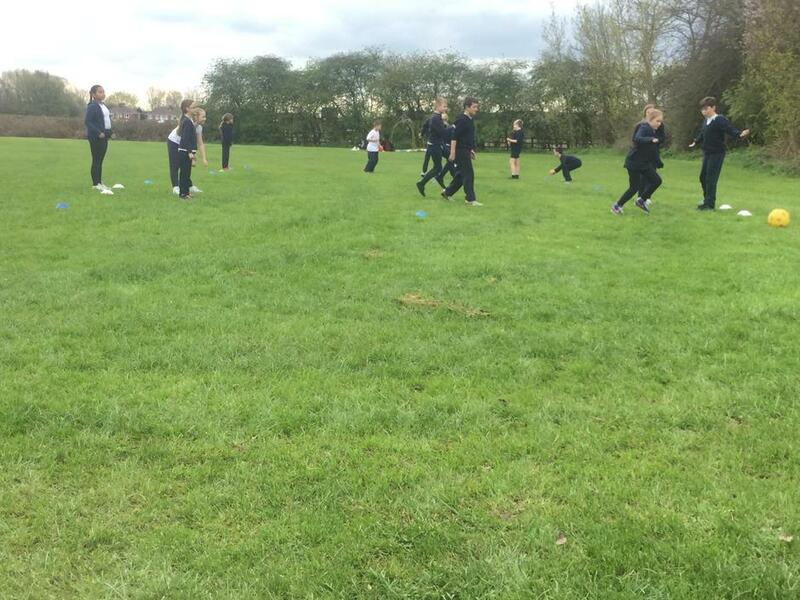 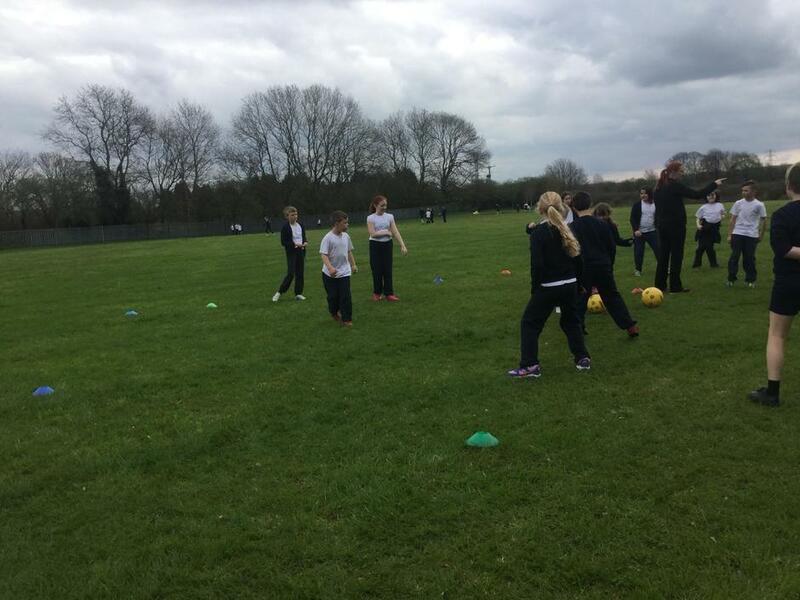 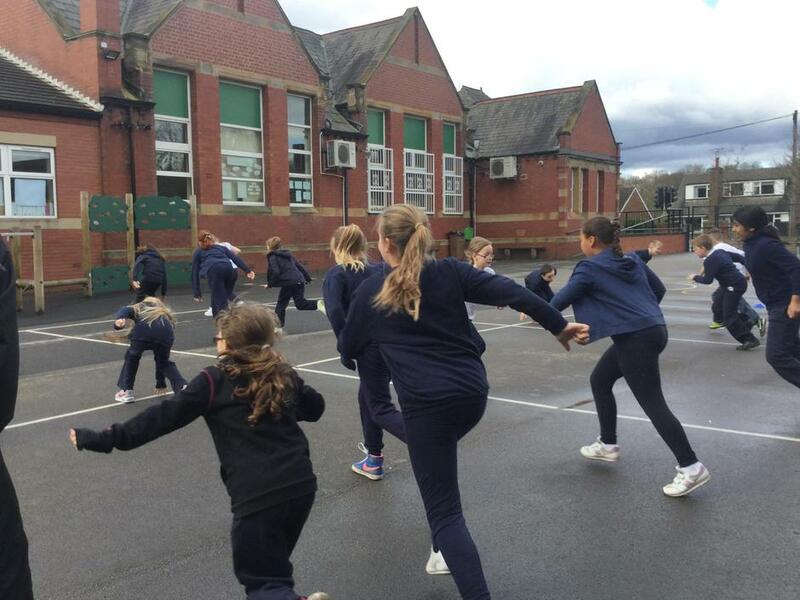 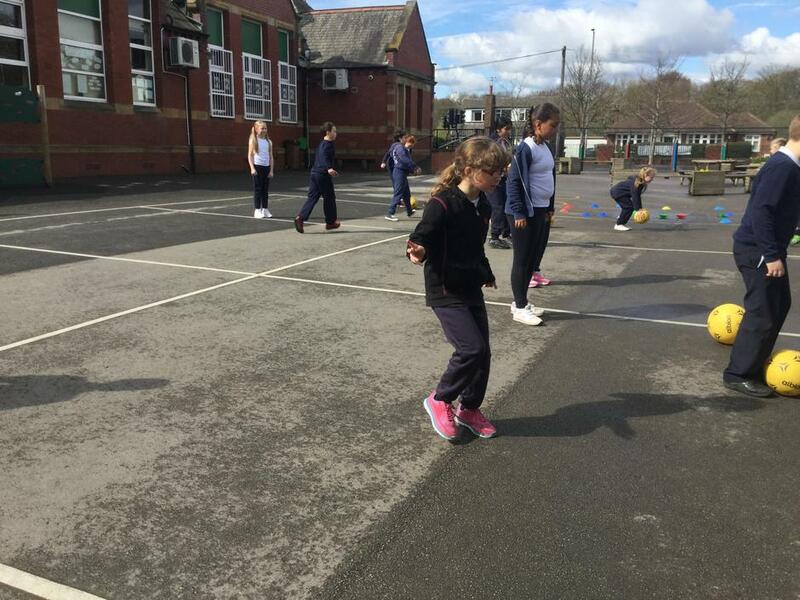 The weather was lovely, so Mrs Kershaw took class five out for a rounders lesson to enjoy the sunshine. 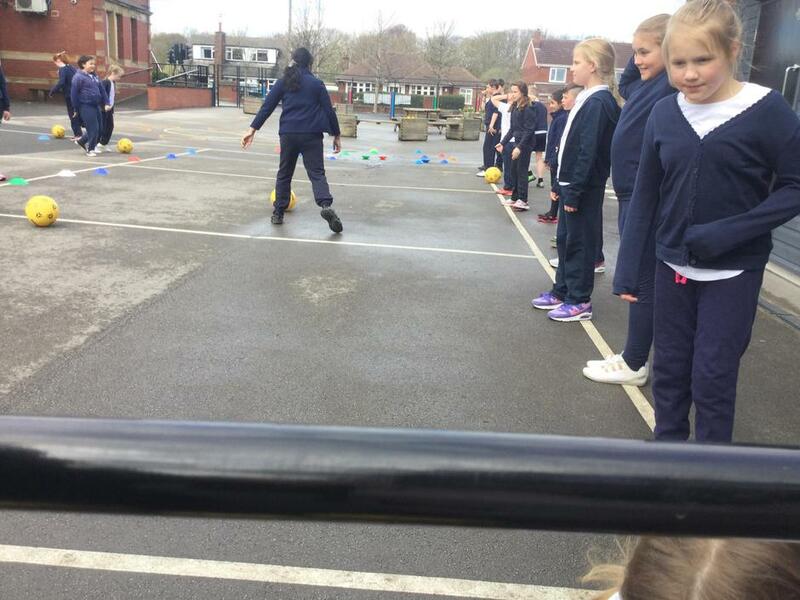 We are focusing on learning the rules, including tapping the base when we pass and ensuring we don't run each other out! 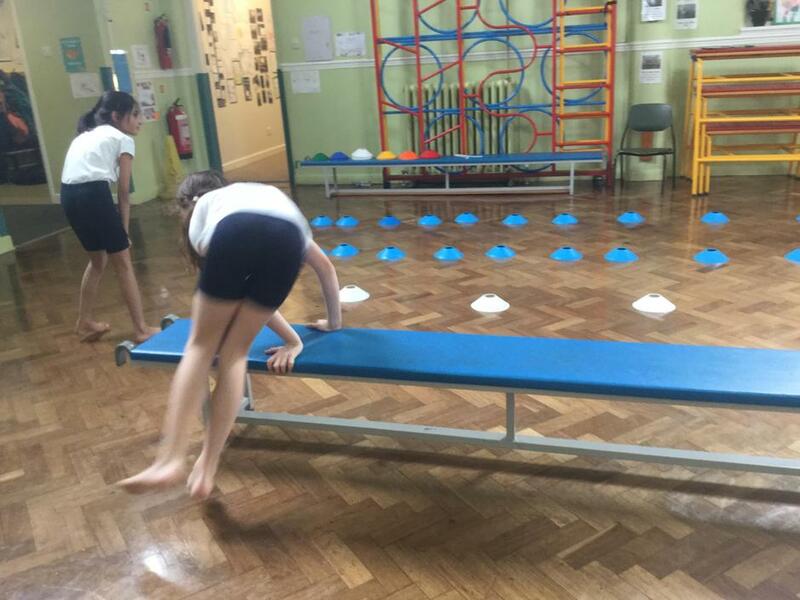 Class Five want to be competition ready! 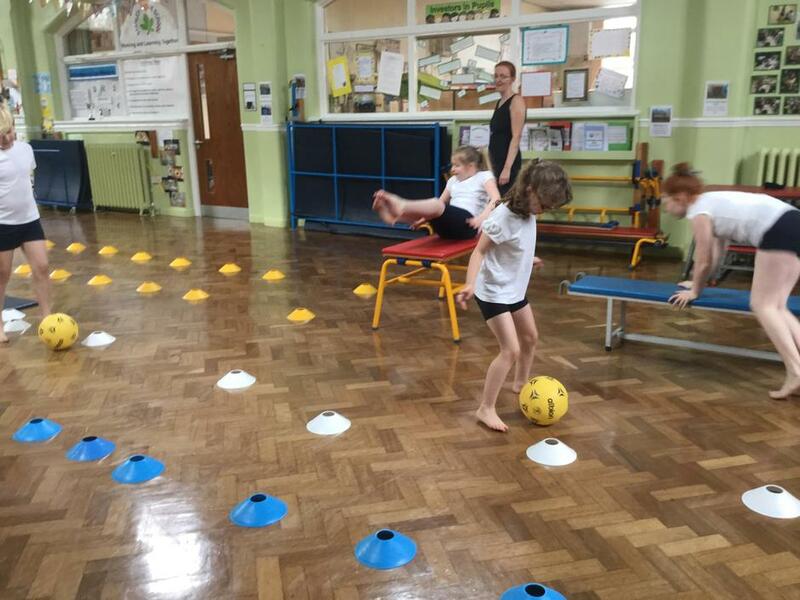 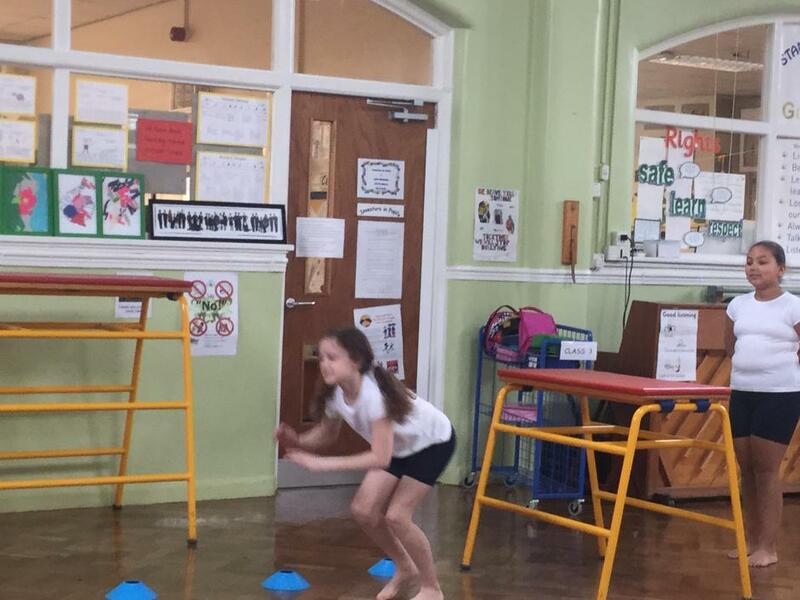 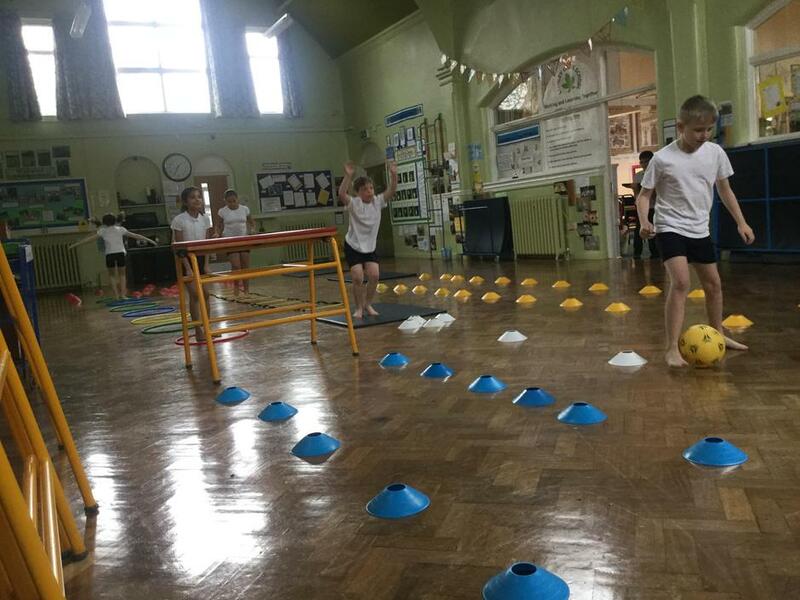 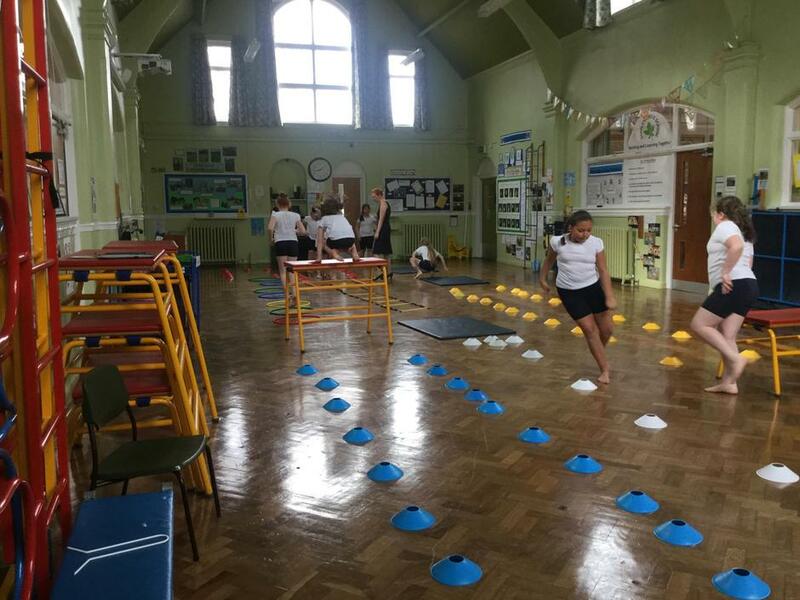 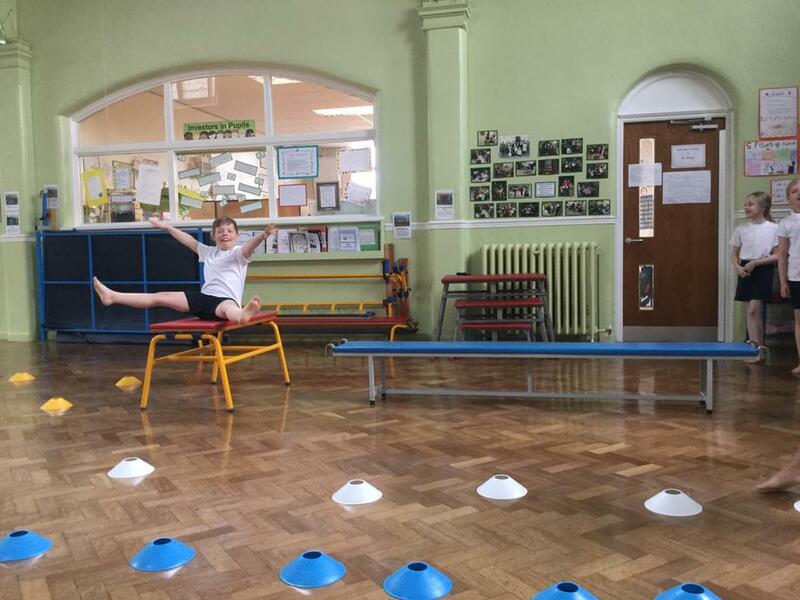 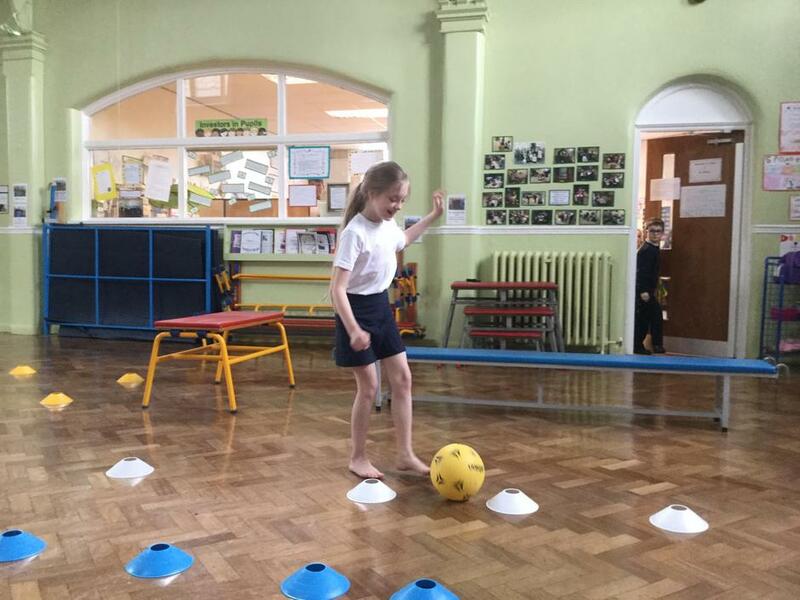 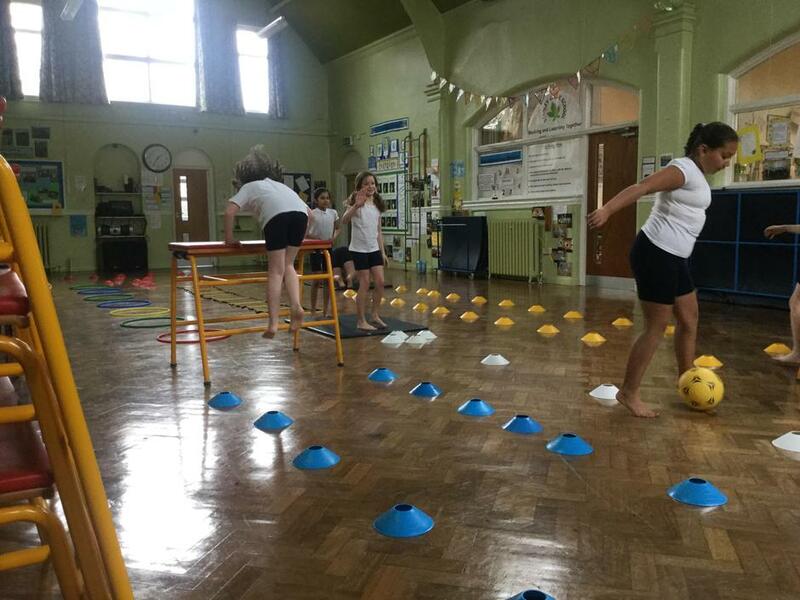 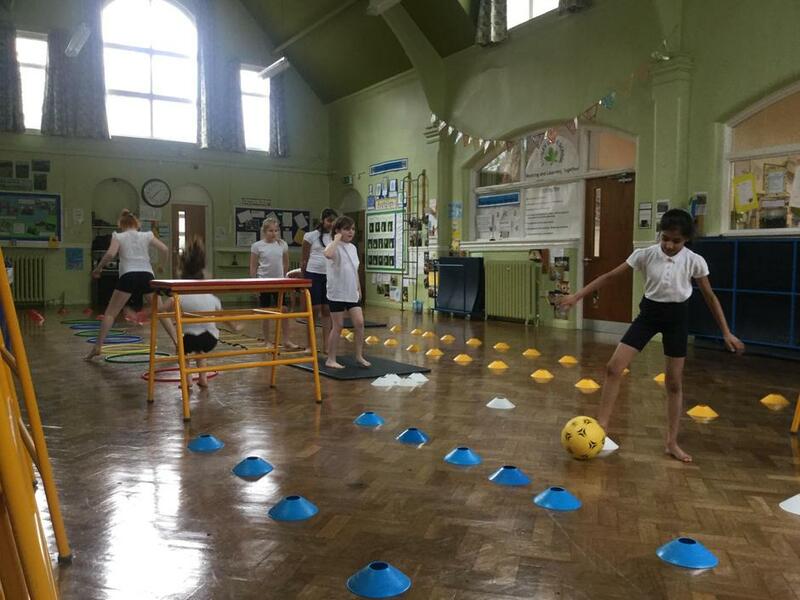 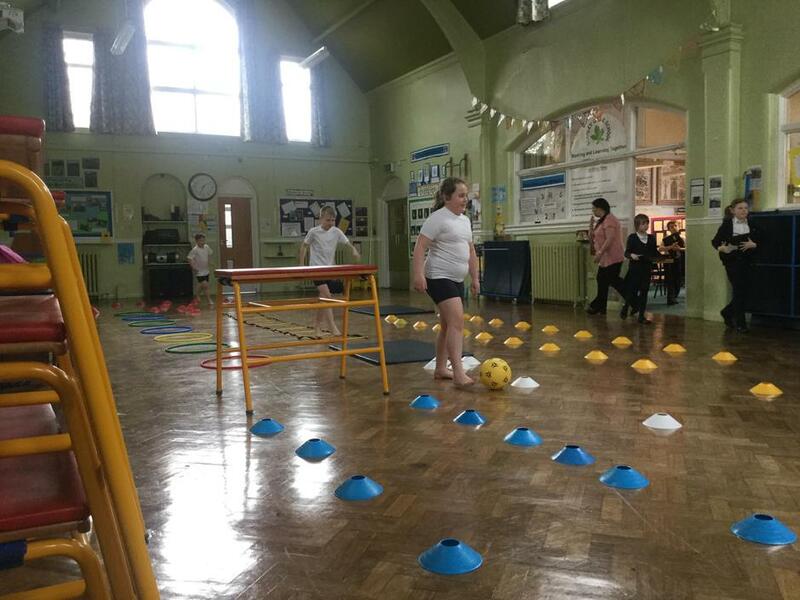 As part of work to improve our overall fitness, we completed some indoor relay courses which used a combination of skills which we have learnt over the school year. 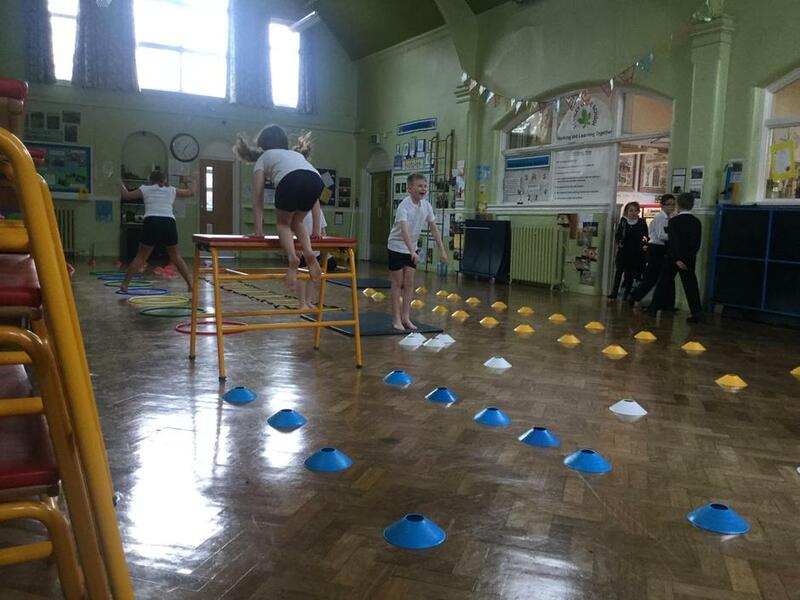 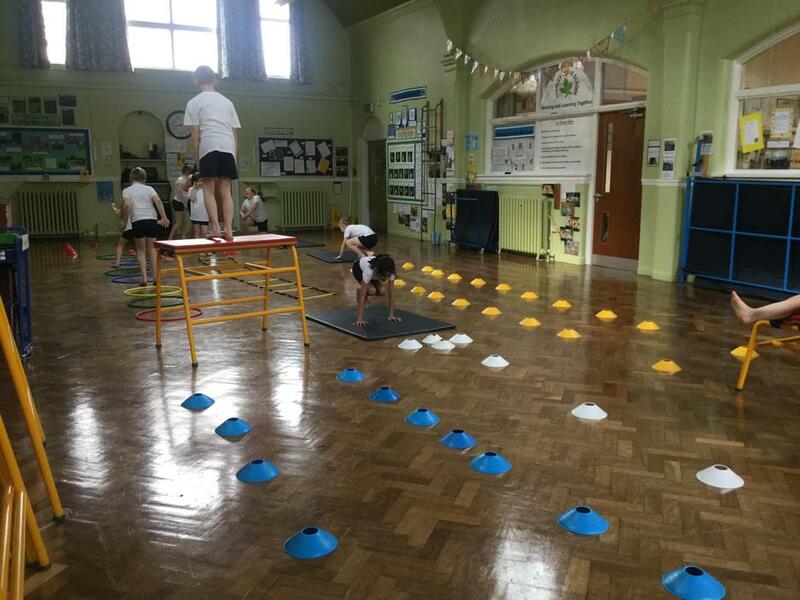 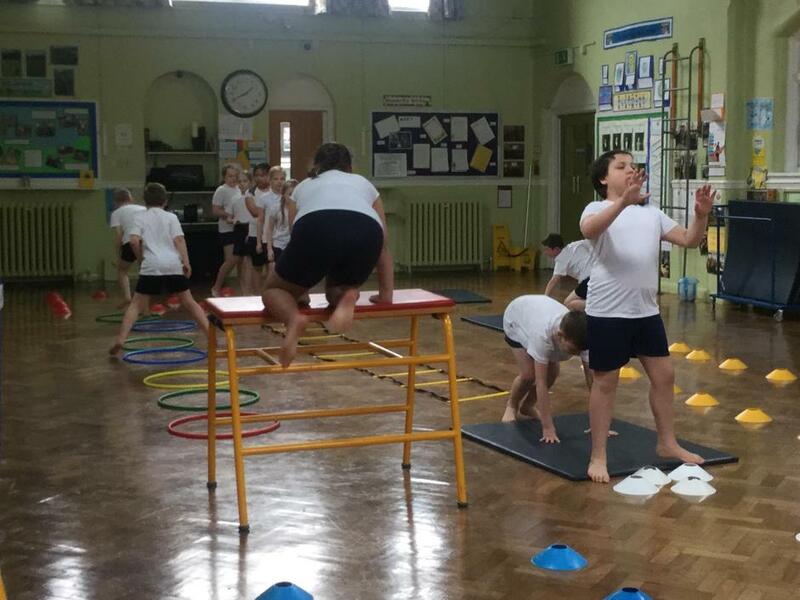 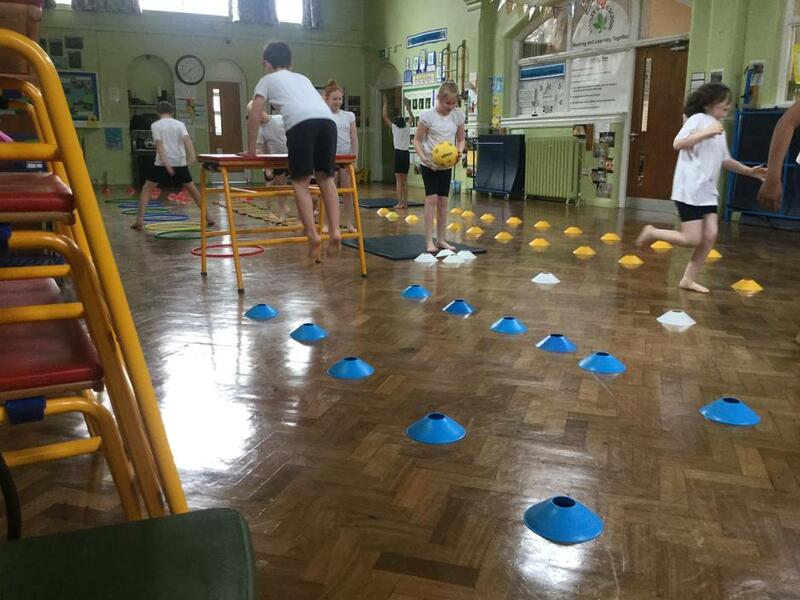 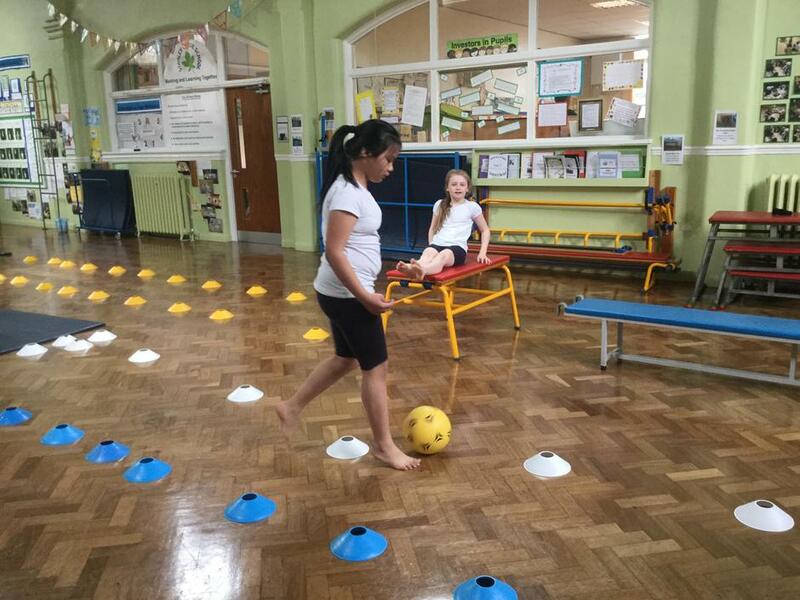 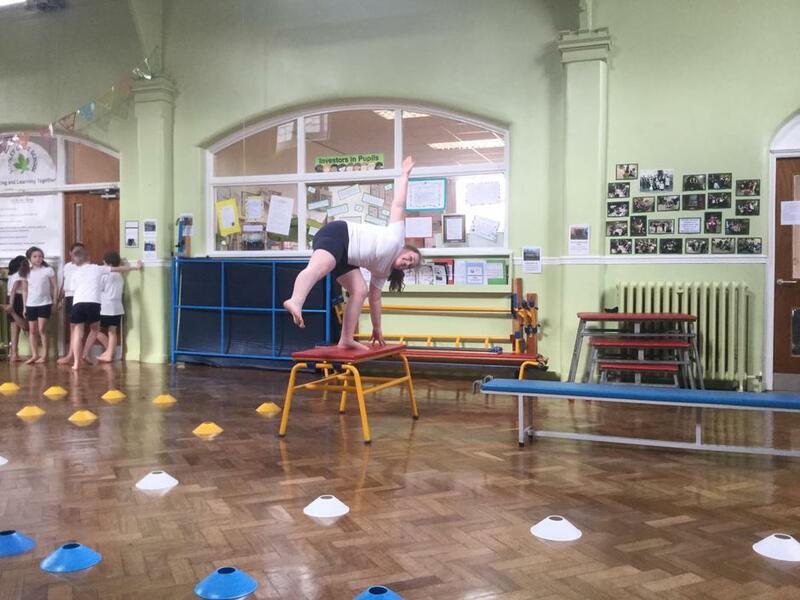 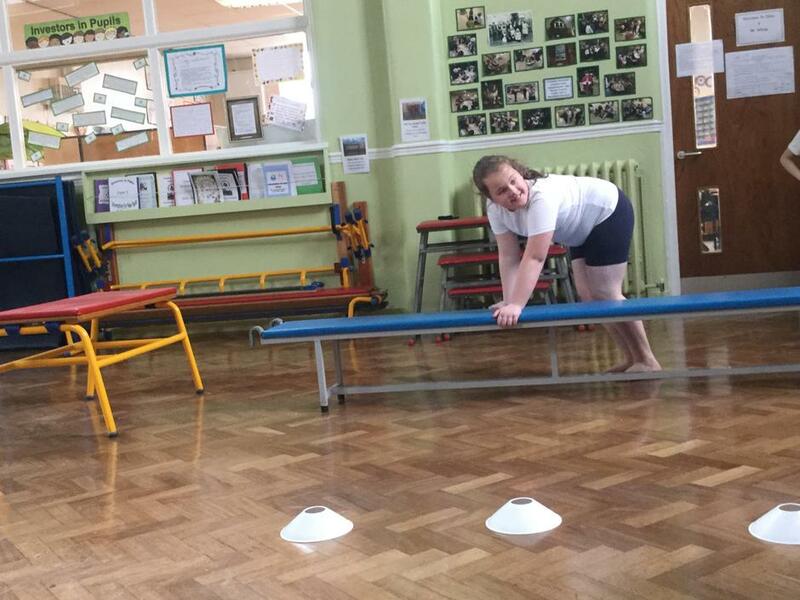 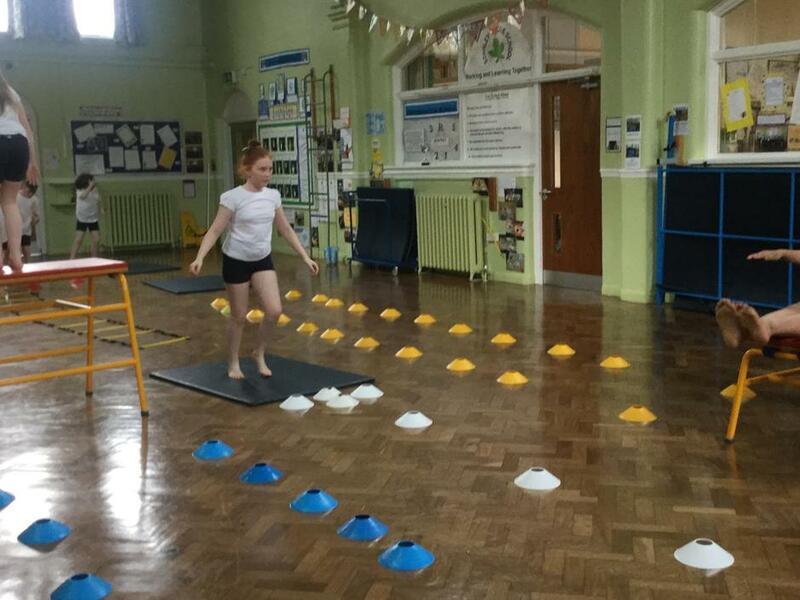 These included gymnastic, games and balance skills linked with our dance work.